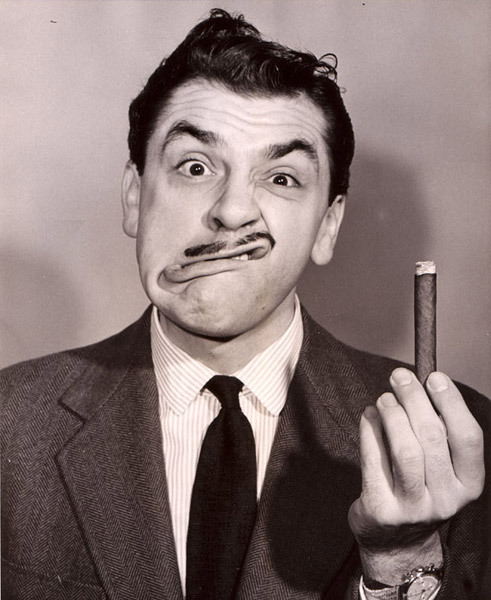 The UCLA Film and Television Archive will pay tribute to comedian and television pioneer Ernie Kovacs with a two-night retrospective of his groundbreaking small screen work and film career. “Kovacsland Forever: Ernie Kovacs Centennial” – which is one of several centennial year events taking place in the U.S. and abroad in 2019 – will feature on January 18 a collection of his most dizzying and visually brilliant television efforts, from early broadcasts for East Coast stations to his variety series for NBC and two of his eight masterworks, the ABC Specials, which showcased his ability to manipulate television technology to create peerless, outrageous and on occasion, moving sketch comedy. The following night (January 19), the Archive will screen “Our Man in Havana” (1959), a darkly comic adaptation of Graham Greene’s novel, with Alec Guinness’s vacuum cleaner salesman turned spy and Kovacs showing off both comic and dramatic chops as his foil, a Cuban military man whose bemusement hides a chilly ruthlessness. Both screenings – which begin at 7:30 p.m. in the Billy Wilder Theater – highlight Kovacs’ unique gifts which, while underappreciated during his lifetime, would later influence generations of TV comics, from David Letterman and Conan O’Brien to “Mr. Show” and “Pee-Wee’s Playhouse.” In attendance at tonight’s screening will be Josh Mills, music publicist/activist and son of Kovacs’ spouse and creative muse, Edie Adams, who single-handedly preserved Kovacs’ TV legacy through her production company, Ediad Productions, which he now oversees. 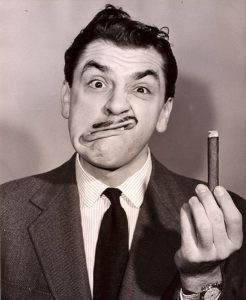 Photo of Ernie Kovacs courtesy of Ediad Productions. This entry was posted in Movies, Television, Upcoming Events and tagged Edie Adams, Ernie Kovacs, UCLA Film and Television Archives. Bookmark the permalink.